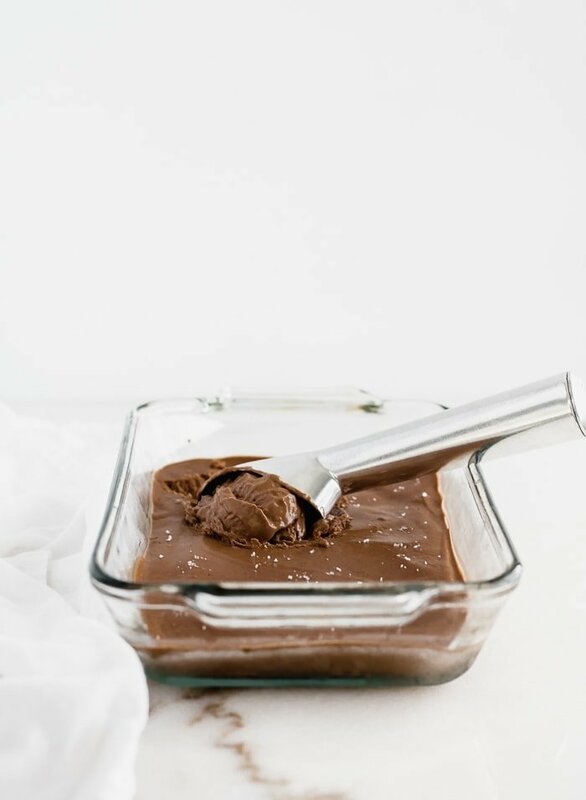 An extra creamy base of Greek yogurt and avocado makes this dark chocolate avocado frozen yogurt a sweet and healthy treat. Plus it’s easy to make-no ice cream maker required! Texas has received the memo that it is spring! The sun is shining, the temperatures are heating up, and there is pollen everywhere you turn. It’s glorious! With the weather warming up the past couple of weeks, I’ve got cold treats on my mind. There’s nothing better than enjoying a cool, creamy scoop of ice cream on a hot day and rushing to eat it before it all melts! My husband and I both enjoy our fair share of ice cream, so when my grandma gave us an ice cream maker for Christmas, we were super excited. My husband can’t wait for the summer so we can make real homemade ice cream. Don’t get me wrong, I can’t wait for that either (I have many fond memories of my mom making homemade ice cream at our lake house in the summer when I was growing up). But I’ve been dreaming about trying to make my own frozen yogurt for months now. 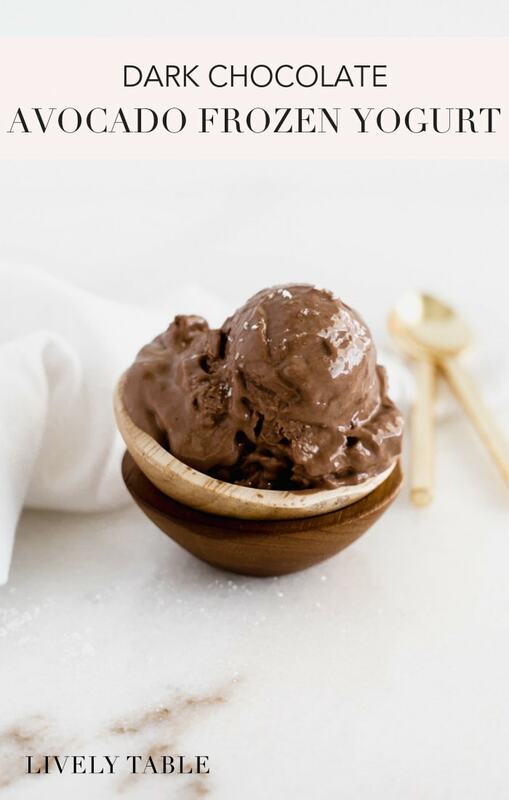 So what better way to start than with a creamy, dreamy dark chocolate avocado frozen yogurt? Before you get all weird on me about avocado being in your fro-yo, just listen. 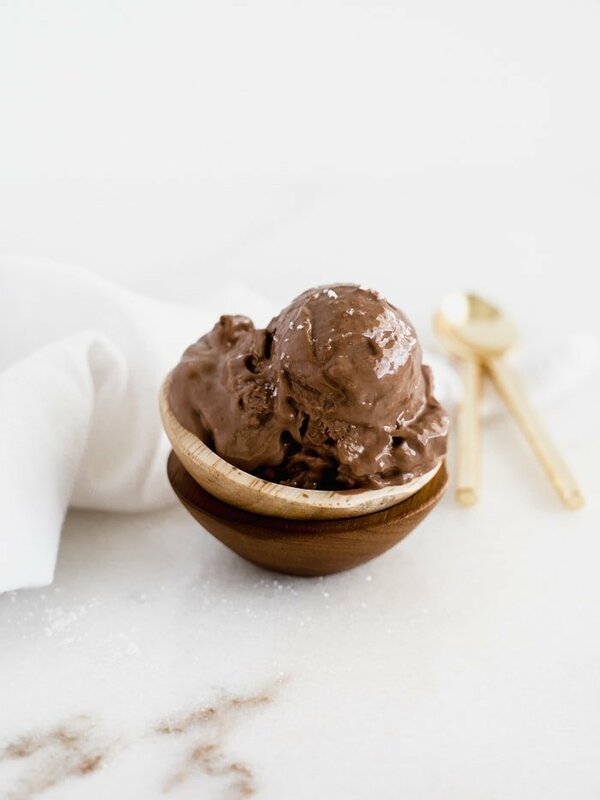 It gives your frozen yogurt a smooth, rich and creamy texture without having to use heavy cream or other high fat products that you may or may not have in your refrigerator. Avocado is way more healthy with all of it’s vitamins, fiber, and heart healthy fats. And it’s flavor is completely undetectable when blended with rich dark cocoa. So. Good. All it takes is a few simple ingredients to make a wonderfully nutritious and super tasty frozen yogurt that you can enjoy any time you want a sweet treat without the guilt. 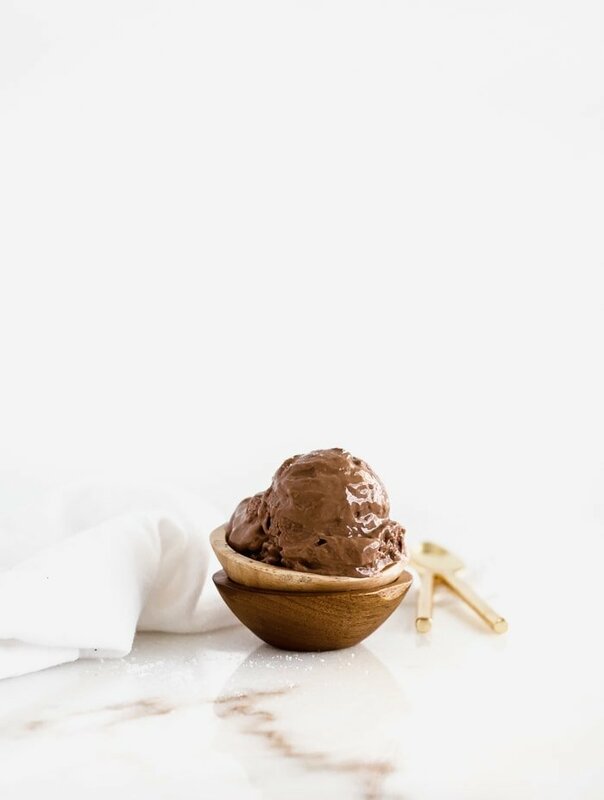 You control all of the ingredients that go into it (including the sugar so you can adjust for your preferred sweetness), and the fact that it doesn’t require an ice cream maker makes it super convenient to whip up when you’re craving a frosty dessert. Although, since it’s low in sugar and high in protein, you could totally eat dark chocolate avocado frozen yogurt for breakfast. I promise I won’t tell. I’ll probably be joining you. 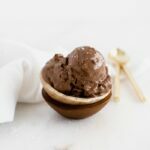 An extra creamy base of Greek yogurt and avocado makes this dark chocolate frozen yogurt a sweet and healthy treat! In a food processor or blender, combine all ingredients and blend until smooth. Pour into an ice cream maker and churn according to manufacturer instructions. Allow to freeze a couple of hours for a firm frozen yogurt, or serve right away for soft-serve style. Alternately, scoop the mixture into a metal loaf pan and cover with plastic wrap. Freeze 2-3 hours. Thaw frozen yogurt on the counter for a few minutes before scooping. Top with sea salt flakes (optional) and enjoy!